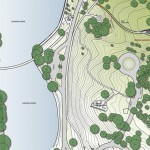 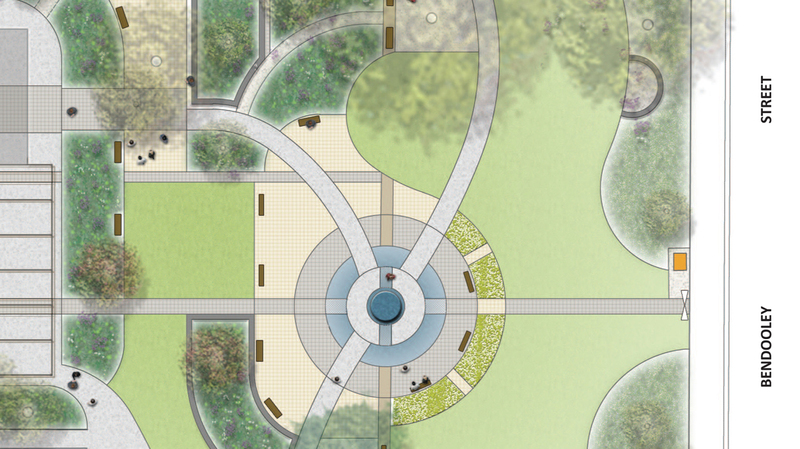 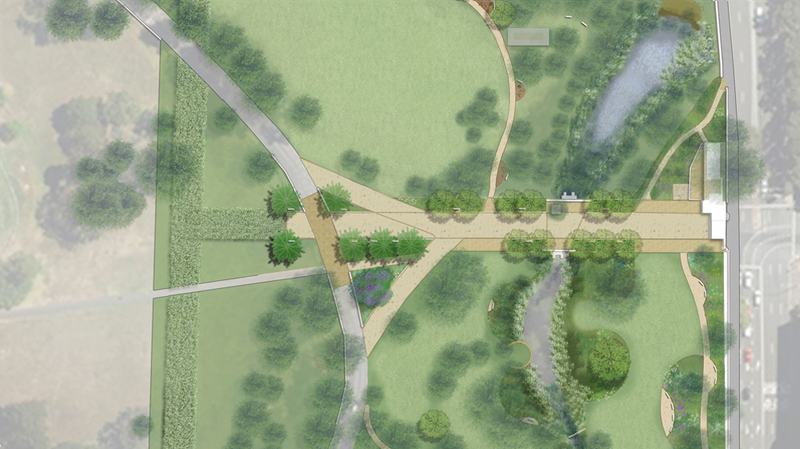 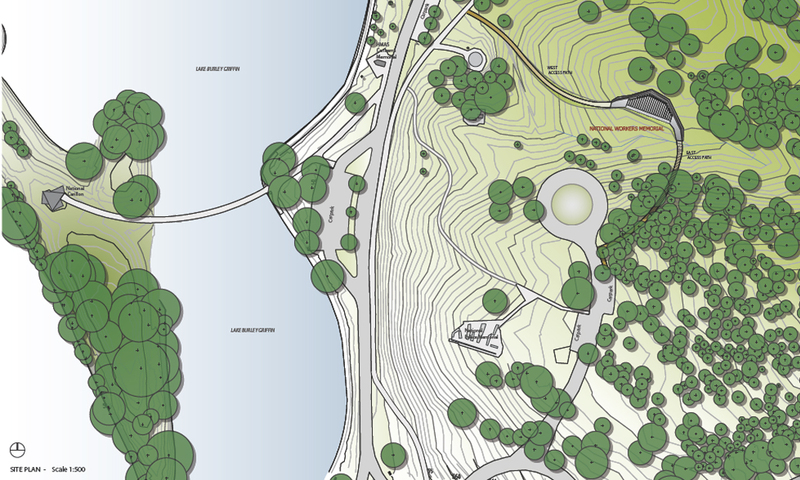 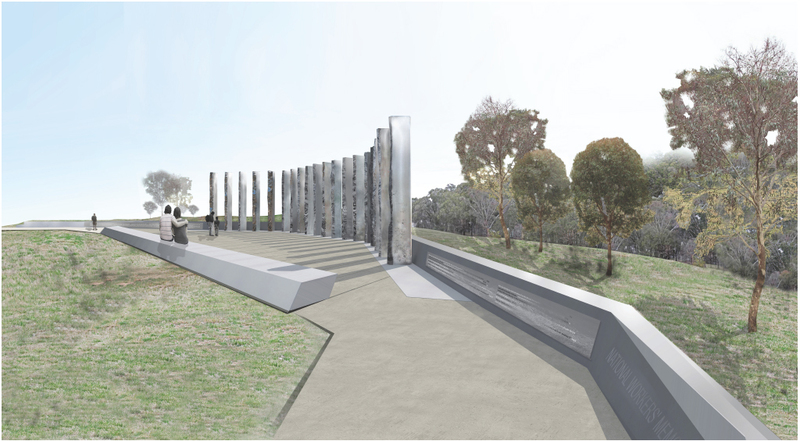 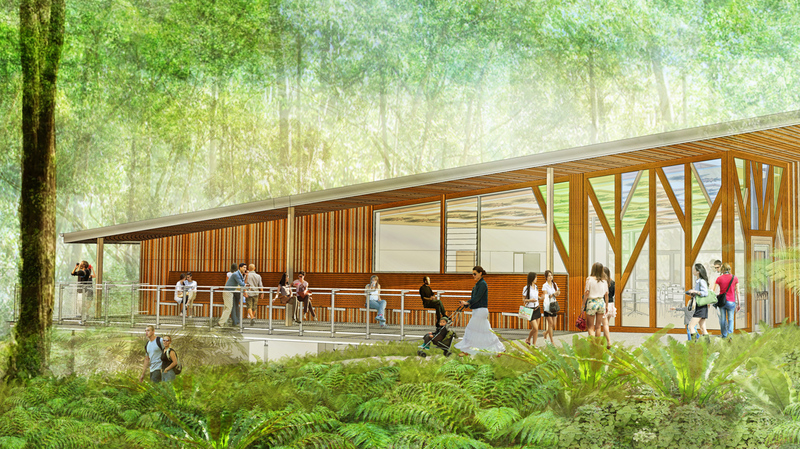 This competition entry was to design a new National Workers Memorial in Kings Parks Canberra. 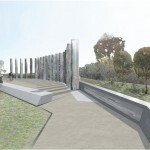 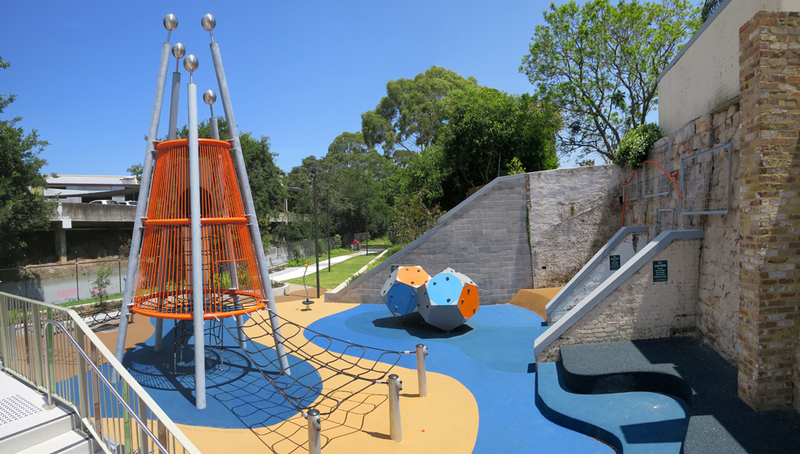 The memorial seeks to give expression to a variety of emotions including the commemoration of those killed and injured in the workplace as well as celebrating the achievements of Australia workers. 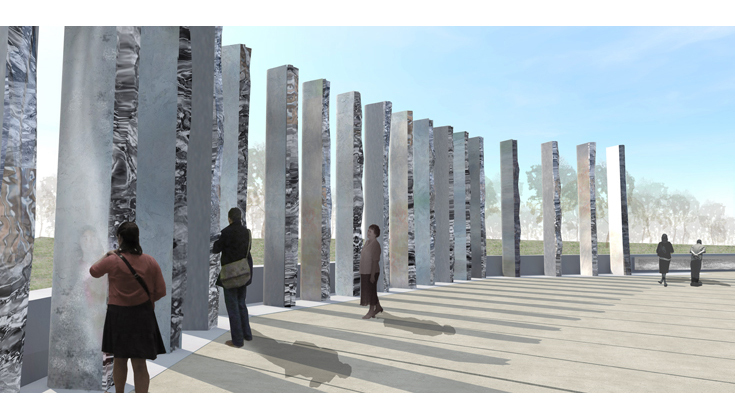 To celebrate the contribution of Australian workers to building the nation we proposed a Column Wall of Workplace Celebration. 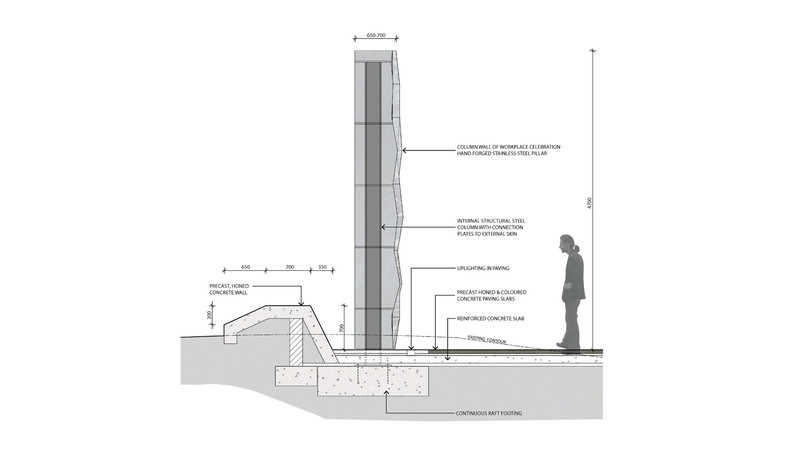 Individually hand-forged stainless steel columns which deliberately celebrate and symbolise the process of construction, be it physical or social, and the notion of workers skill, be it in the handling of materials or people. 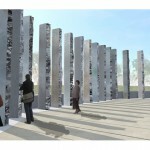 Each column is slightly different from the other, though similar in overall form, emphasising the collective effect of the individual efforts of millions of Australian workers in nation building. 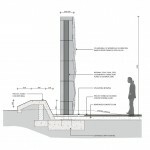 The columns work together as a powerful array or column wall.